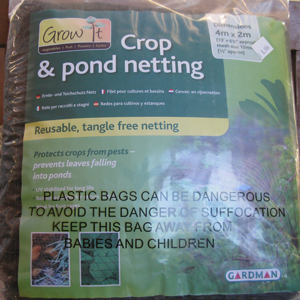 Protects crops from pests and leaves from falling into your ponds. U.V. stabilised for long life. Reinforced edges for secure fitting.